When a pilot makes a wrong decision, he has a co-pilot by his side to assist him in correcting it. When a school teacher makes a mistake, she usually has time to realize her mistake and correct it before any harm is done. When a doctor makes an error, they are most likely the only ones who have the ability to correct and sometimes even notice it. Like it or not, doctors are human and are very capable of making mistakes. However, unlike most people in the workforce, when they make a mistake it can greatly impact the lives of the individual they are assisting. According to a study published by the journal Surgery, according to malpractice records, the most common error during surgery was leaving an object inside the patient, which happens around 39 times a week. Operation on the wrong body part or even the wrong patient occurred around 20 times a week according to their study. Not only that but these numbers were reported to be on the low end of occurrences according to the study conductors. 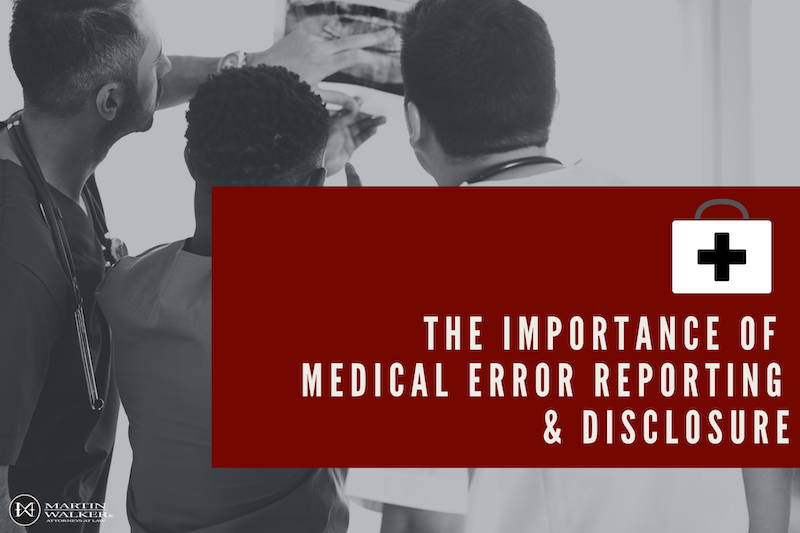 Doctors are not likely to report their errors, especially if they feel that the patient is not in much danger. Doctors risk legal liability, loss of reputation, loss of privileges and even license revocation. Not only do these reasons keep doctors from reporting their mistakes, but they may also fear to cause the patient unwanted distress. Here are the top reasons why doctors should report their mistakes. Deceiving the patient – By not disclosing the error, the doctor is interfering with the patients informed consent. This is because after an error more procedures or medications may be necessary without the patient understanding fully why it is needed. Causing the patient even more harm – The error itself can very well cause the patient meaningless harm. However, by failing to inform the patient of the error, it could lead to even more damage. The damage may be more emotional than physical, but causing the patient to worry about why they are not recovering as quickly may lead to emotional trauma. Lack of Justice – The patient deserves to receive the compensation that is owed to them after a terrible mistake in the doctor’s office. If the doctor fails to disclose to them their errors then proper compensation cannot be given to them. After knowing these facts, it’s hard to see how any case against non-disclosure could ever triumph. It’s clear that non-disclosure is a deception to the patient and in clear conflict to doctor-patient relationship ethics. Doctors must rise above their human nature and admit if they make a mistake by placing the patient’s welfare above their own self-interest. If you or someone you know has ever been subject to a mistake made by a doctor or health care physician you could very well be entitled to compensation. Call our office for a free consultation and we will do our best to win justice for you, (903) 526-1600.